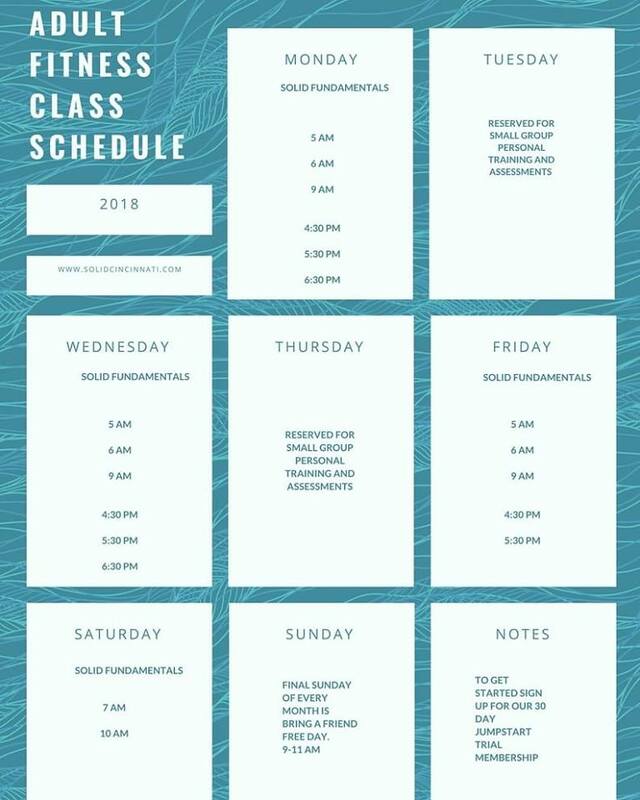 Solid Training is a very unique gym that offers unique memberships. We offer two types of memberships, small group personal training or large group training. There is no open gym membership. The reason we only do a guided membership is to monitor technique and maintain the safety of our members. Due to the learning curve for most of the exercises, we guide all the training to make sure all of our members learn how to do the exercises correctly and safely. By having a trainer guide you through the step-by-step process, you learn what works for you and learn the process that goes into achieving your goals! This is the best option for an individual who has very specific goals and is need of direction to achieve them. The group is organized to accommodate 2-4 individuals. This is the best option for the individual who is looking for a fast paced, fun, motivating environment of like-minded individuals. The class structure is set up to accommodate 8-15 class participants. All participants are required to have completed an FMS (Functional Movement Screen) screening with John before joining a class. We use the FMS as a tool (part of our vast toolbox) to monitor your progress while at Solid Training. From mobility to strength, the screening we use allows us to find what we will need to include in your own personal program! TO BEGIN YOUR 30 DAY TRIAL, EMAIL US TODAY!